Mariah Carey has released a brand new video. 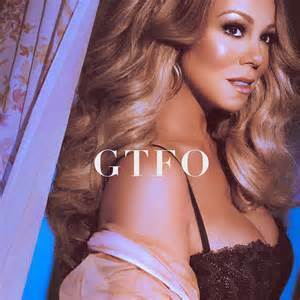 Mariah Carey has release not only her new single 'GTFO' but also a video to go along with it. This is not the new single from her upcoming album 'MC15'. The new single is to be titled 'With You'. The song is set to be release on October 5th. Over all the song 'GTFO' is a very weak song from what it stands for. You would think it would have more of an impact a bit of anger, but its more mellow. Just like Paulina Rubio with her new lackluster new six song album. Mariah could have kept this too.